The fouta towel Chevron design Taupe, size: 100 X 200 cm. The fouta towel Chevron design Taupe, is a fouta of mechanized manufacturing, in reliefs of Chevron design, delicate and refined. 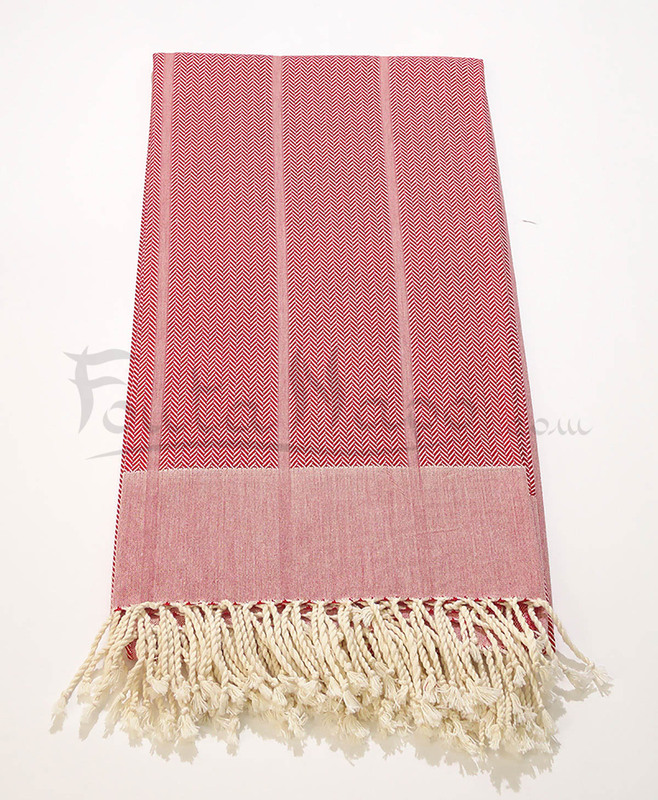 The fouta serves initially as towel for hammam and bath, nowadays it became the essential accessory used as a sarong, beach towel, cloth or cast for sofa and bed. 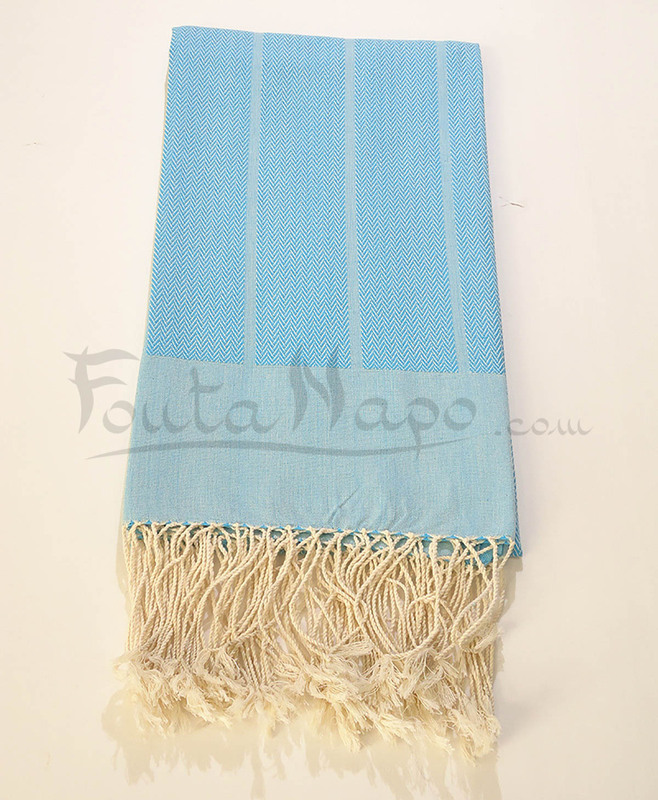 La fouta tunisienne: un accessoire multi-usage ! Fouta originale, riche en couleurs et en goût!